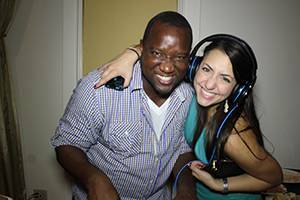 DJ Sean Garrity creates an electric energy in any event that he entertains. Nominated as The Best Radio Personality in 2008, his artistic, enthusiastic and beaming personality keeps him in touch with his clients before, during and after the event. Want to learn more? Read DJ Sean Garrity's Testimonials or listen to his Mixes. DJ Sean has been a DJ for 15 years, and has rocked all types of events, including kids' parties, corporate functions, theme parties, clubs, weddings, private functions & product launches. He earned a Bachelor's Degree from Florida International University and a Master of Business Administration from Long Island University. He worked the corporate scene for a while, but now he's back to his passion: entertaining crowds as a DJ. He brings that passion to every event - he'll work hard to insure that everything is to your specifications. Sean Garrity Events & Productions makes your special event our #1 priority. We do not just want to provide our services, we will WOW you and go above and beyond your expectations. Featuring Sean Garrity, a Creative & Leading Professional with a Great Team of DJs/MCs (Disc Jockey / Master of Ceremonies) and well over 1,000 Weddings and Social Events all over South Florida, from Miami, to Fort Lauderdale and Palm Beach.